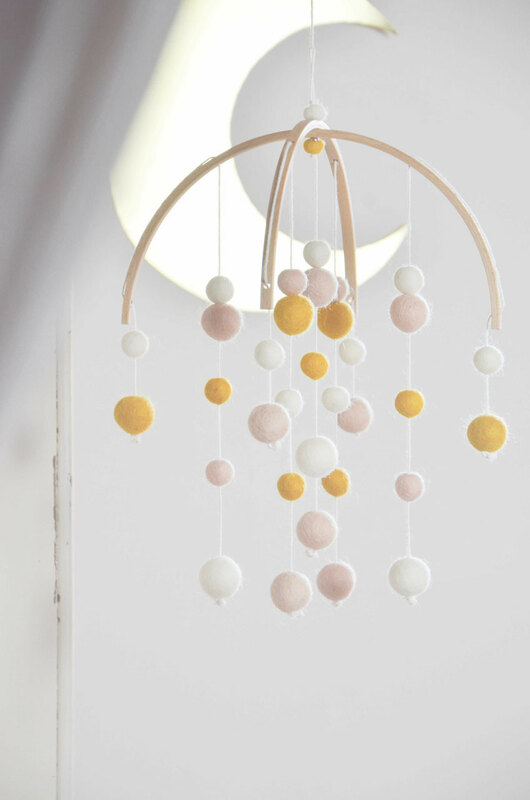 Baby mobile composed of wooden hoops, balls of felted wool. You can hang your mobile (280 grams) with a tip and a very strong fine fishing line. The mobiles are mobile observation and decoration (corner changing table, reading corner, next to a window, a tipi ..). The mobile must be hung 80 cm above the baby's extended hand.